A sweet and spicy kick from our sriracha sauce enlivens your morning routine. 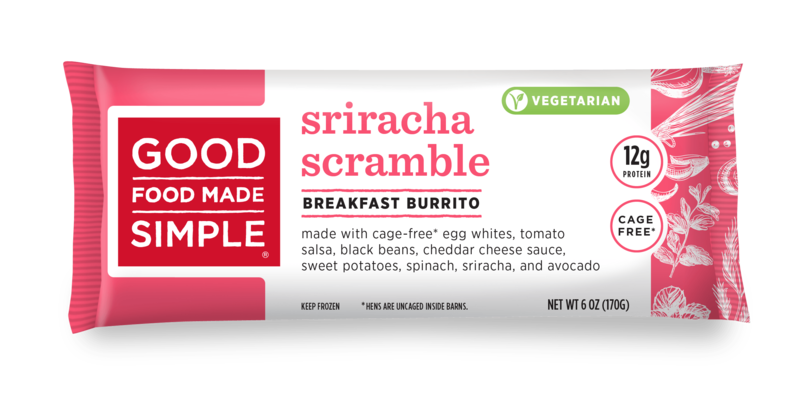 Our spicy Sriracha Scramble breakfast burrito is made with cage-free egg whites, tomato salsa, black beans, cheddar cheese sauce, sweet potatoes, spinach, sriracha, and creamy avocado. CONTAINS: EGGS, WHEAT, MILK, SOY.